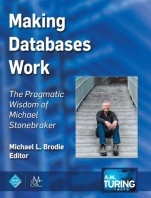 This book celebrates Michael Stonebraker's accomplishments that led to his 2014 ACM A.M. Turing Award ""for fundamental contributions to the concepts and practices underlying modern database systems."" The book describes, for the broad computing community, the unique nature, significance, and impact of Mike's achievements in advancing modern database systems over more than forty years. Today, data is considered the world's most valuable resource, whether it is in the tens of millions of databases used to manage the world's businesses and governments, in the billions of databases in our smartphones and watches, or residing elsewhere, as yet unmanaged, awaiting the elusive next generation of database systems. Every one of the millions or billions of databases includes features that are celebrated by the 2014 Turing Award and are described in this book. Why should I care about databases? What is a database? What is data management? What is a database management system (DBMS)? These are just some of the questions that this book answers, in describing the development of data management through the achievements of Mike Stonebraker and his over 200 collaborators. 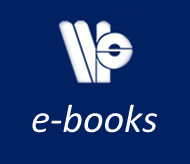 In reading the stories in this book, you will discover core data management concepts that were developed over the two greatest eras (so far) of data management technology. The book is a collection of 36 stories written by Mike and 38 of his collaborators: 23 world-leading database researchers, 11 world-class systems engineers, and 4 business partners. If you are an aspiring researcher, engineer, or entrepreneur you might read these stories to find these turning points as practice to tilt at your own computer-science windmills, to spur yourself to your next step of innovation and achievement. Author Biography: Michael L. Brodie has over 45 years of experience in research and industrial practice in databases, distributed systems, integration, artificial intelligence, and multidisciplinary problem-solving. Dr. Brodie is a research scientist at the Computer Science and Artificial Intelligence Laboratory, Massachusetts Institute of Technology; advises startups; serves on advisory boards of national and international research organizations; and is an adjunct professor at the National University of Ireland, Galway and at the University of Technology, Sydney. As Chief Scientist of IT at Verizon for over 20 years, he was responsible for advanced technologies, architectures, and methodologies for IT strategies and for guiding industrial-scale deployments of emerging technologies. He has served on several National Academy of Science committees. Current interests include Big Data, Data Science, and Information Systems evolution. Dr. Brodie holds a Ph.D. in databases from the University of Toronto and a Doctor of Science(honoris causa) from the National University of Ireland.